A slice of Bondi will be heading west this weekend when Milky Lane pops up at Castle Hill's Hillside Hotel. 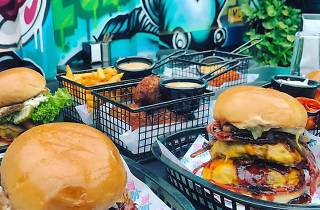 Burgers are named after some of hip hop's chart toppers, like the Chic-Kanye with southern fried chicken, maple bacon, slaw and habanero aioli. Or there's the Drake, with a chargrilled mushroom, blackbean, lentil and sweet potato patty and caramelised onions. The burger joint is also known for its loaded fries (topped with bacon and cheesy gravy) and mega thickshakes. There will also be cocktails a flowin' and DJs spinning tunes, so wear your stretchy pants and saddle up for burger-fuelled good times. Want more burgers? 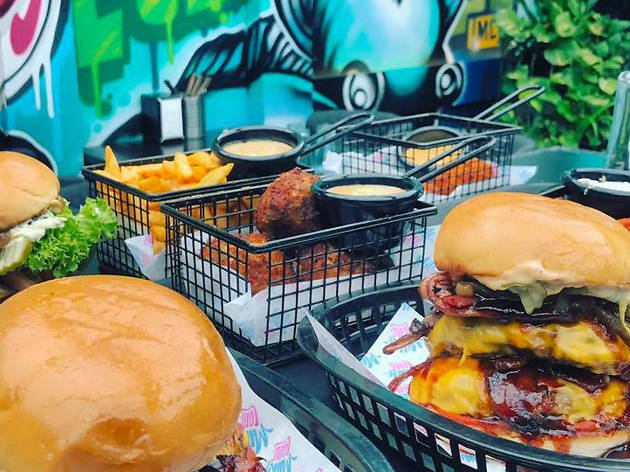 Check out our guide to Sydney's best burgers.